If you need help understanding the property licensing rules in Greenwich you have come to the right place! We are experts in housing regulation and have produced this free guide to help you understand the council’s property licensing schemes. To help set the scene, the Royal Borough of Greenwich is in South East London covering an area of 18 square miles. It is bordered by the boroughs of Lewisham to the west, Bromley to the south, Bexley to the east and with the Thames river to the north. According to the 2011 Census about 20% (1 in 5) of the housing stock was privately rented which is lower than the London average of 25% (1 in 4). You do not need a licence if you rent your property to a single family as Greenwich Council do not operate a selective licensing scheme. However, if you rent out a flat in a converted building, you should check the additional licensing scheme below as some buildings containing flats do need to be licensed. If you rent your property as a House in Multiple Occupation (HMO), you will need a licence as Greenwich Council introduced an additional licensing scheme on 1 October 2017. There is also the mandatory HMO licensing scheme that applies throughout England. The additional licensing came into force on 1 October 2017 and continues for five years until 30 September 2022, unless the council decide to revoke the scheme or implement a replacement scheme. It applies to all HMOs in the Royal Borough of Greenwich, so that includes all properties shared by three or more people who are not all related and share facilities – an estimated 7,000 properties. This is a complex area of law and you may need further advice. A new fee structure was introduced to coincide with the introduction of additional licensing. The same fee structure applies to mandatory HMO and additional licensing. The standard application fee is £388 (was £377 in 2018/19) per habitable room in an HMO. This is a significant increase from the £147.11 per unit that was charged in 2017/18. The new fee is £1,940 for a three storey shared house with five lettings, up from £735.55. On this basis, it is the second highest fee in London, beaten only by neighbouring Lewisham Council. The council charge a reduced fee to landlords who are a member of a professional association or accreditation scheme, which we think is a good idea. The fees are correct as of April 2019 but could be subject to change in the future. You can view the fees in full on the council’s website. A new online application process was implemented to coincide with the introduction of the additional licensing scheme. You will need to visit the council’s website. Yes, Greenwich Council have published some HMO Standards that apply to all licensed HMOs. 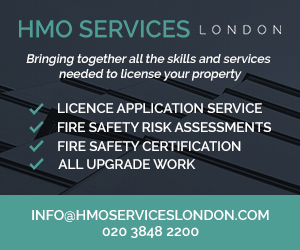 They provide useful guidance that all HMO landlords need to be aware of. The standards were updated in April 2019 and you can download a copy by visiting the council’s website. As of December 2014, Greenwich Council had licensed 54 HMOs. By February 2016 the number had risen to 64, by September 2016 it had risen to 80 and by December 2017, it had risen again to 108. When we checked again in April 2019, we found there were 146 HMOs licensed under the mandatory HMO licensing scheme and 453 licensed under their additional licensing scheme. The council keeps a public register of licensed HMOs that is regularly updated and can be viewed online. With the additional licensing scheme now in force, the council think about 7,000 properties need to be licensed - that’s a huge number and will create a massive workload for the council. With only 600 properties licensed 18 months after the scheme started, it suggests that either there are far fewer HMOs, or that over 90% of properties remain unlicensed. How many landlords apply and how quickly licence applications are processed is something we will be monitoring with much interest. Ignore the law and you could pay a heavy price. You risk being prosecuted by the council and if found guilty you could get a criminal record, be fined an unlimited amount and ordered to pay court costs and victim surcharge. Greenwich Council told us they had taken fifteen housing prosecutions over the five years from April 2011 to March 2016, so on average three prosecutions a year. Greenwich Council did not obtain any Rent Repayment Orders from the landlords of unlicensed HMOs over the six years from April 2011 to March 2017. This is based on data published by the Courts and Tribunals Judiciary. Whilst we don’t have any figures for the NLA or RLA schemes, we have got information about the London Landlord Accreditation Scheme that is supported by all the London Boroughs. In January 2016, they told us there were 243 accredited landlords in Greenwich, which was the lowest number out of all London boroughs. By January 2018, that figure had increased to 655 and by January 2019 that figure had increased to 793, which is now above average when compared to all the London boroughs. To find out more about becoming accredited, you can visit the London Landlord Accreditation Scheme website here. In February 2016, Greenwich Council told us they were investigating the evidence to support the introduction of further licensing of the private rented sector. From 29 November 2016 to 24 February 2017, Greenwich Council carried out a public consultation on proposals to extend licensing to all Houses in Multiple Occupation (HMOs) in the borough. There is clearly a lot happening in Greenwich and so we will monitor the situation closely. For all the latest news, you can sign up to our free newsletter. On 27 September 2017, the council made a non-immediate borough-wide HMO Article 4 Direction which was confirmed and came onto force on 27 September 2018. From 27 September 2018, planning permission is required to change any property from a single-family home (use class C3) to an HMO with up to six occupants (use class C4). So even letting your property to three people who are not all related could require planning permission. The changes are not retrospective and so properties converted into small HMOs (use class C4) before that date are not affected. More information is available on the council’s website. Royal Borough of Greenwich HMO Licensing consultation ending soon! No selective licensing in Greenwich but mandatory HMO and additional licensing schemes apply borough wide.